Justine Skye is an American Singer, songwriter, and actress known for her dance-oriented R&B and hip-hop-influenced music. The Brooklyn native released her debut studio album titled “ULTRAVIOLET” on January 19, 2018. The dusk beauty first gained attention for her cover of Drake’s “Headlines” which surpassed over 2 million views on YouTube. Justine Skye was born on August 24, 1995, in Fort Greene, Brooklyn, New York, United States. She is currently 23 years old. Justine Skye is the daughter of Jamaican parents Nova Perry, an entertainment lawyer and Christopher Skyers, a corporate merchandiser VP. She is the only child to her parents. Both her parents are of Jamaican descent. Skye dropped out of regular school at the age of 16, and instead opted to receive education through homeschooling in order to puruse her musical ambition. Justine has been in a couple of serious relationships in the past. She is currently single who is looking for a right partner. In 2016, she began dating rapper Wizkid but both of them declined to either refute or confirm this claim. They ended their relationship in 2017. Some sources have reported that she is hanging out with basketball star Justise Winslow. The story was picked up by tabloids after Skye shared a picture of them getting cozy on a private yacht on Instagram. But the details of that particular relationship have remained a mystery to the public. In 2017, many sources reported that Skye and British F1 star Lewis Hamilton have been dating after they were spotted partying together at the 1 OAK nightclub in New York City. Nonetheless, they might be an item but no confirmation or rebuttal has come from either parties involved. Justine Skye released her debut studio album, “ULTRAVIOLET”, on January 19, 2018, on Apple Music. She released her first EP “Everyday living” on August 20, 2013, which peaked at #23 on the US R&B charts. In 2018, Skye landed a minor role in the drama movie, Green Dolphin. Justine Skye debuted on television with the talk show, Today, in April 2013. One of the prominent singers in the music singers in the music business, Justine Skye found plenty of success with the release of her EPs, “Everyday Living”, “Emotionally Unavailable” and “8 Ounces”. The former two manged to peak at #23 and #14 positions on the US R&B charts, respectively. She has appeared in a lot of ad campaigns for the brand Dark and Lovely. 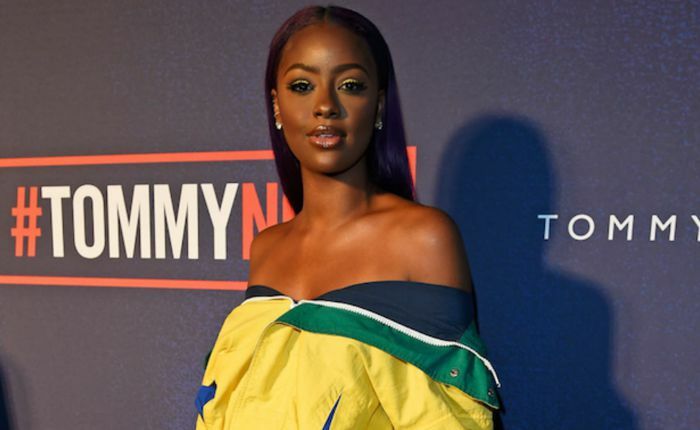 Justine Skye has amassed a net worth of $2 million from her music career. She owns houses in both Los Angeles and New York City and resides wherever possible based on her work routine. She has been singing since she was young, She took singing lessons and subsequently refined her songwriting skills while working with other artiists. Skye first found success in the music industry when her cover of Drake’s Headlines went viral on YouTube and amassed over 2 million views. She signed to Atlantic Records in 2013 and later signed to Roc Nation and Republic Records. In 2014, Justine worked with Tyga for a song called Collide. In 2015, she appeared at an event called TIDAL10x20 by Tommy Hilfiger and Jay Z. She is close friends with Kylie Jenner. Skye has appeared on the covers of Vogue, V Magazine, Billboard, Fader, and more. In February 2019, Skye alleged that rapper Sheck Wes physically abused her on Twitter, but he denied those claims.